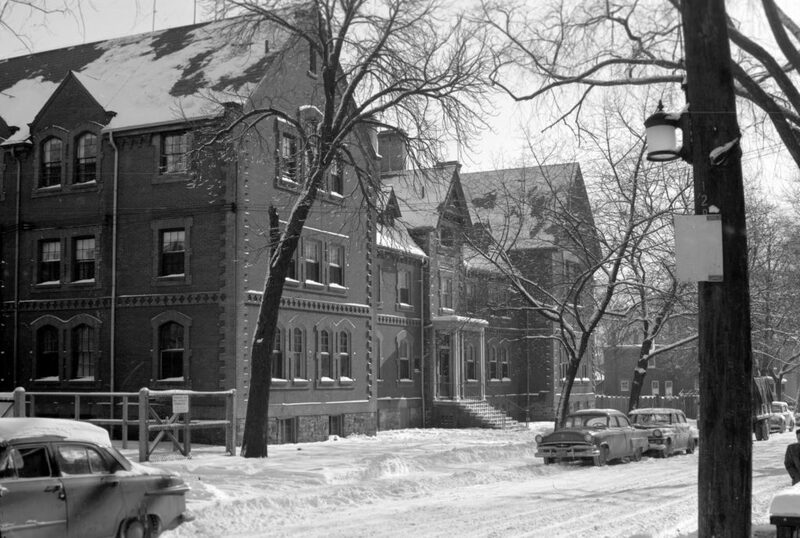 Original Seaton House located at 320 Seaton Street shortly before the building was torn down in 1958. Image credit: City of Toronto Archives. Current day Seaton House building located at 339 George Street. 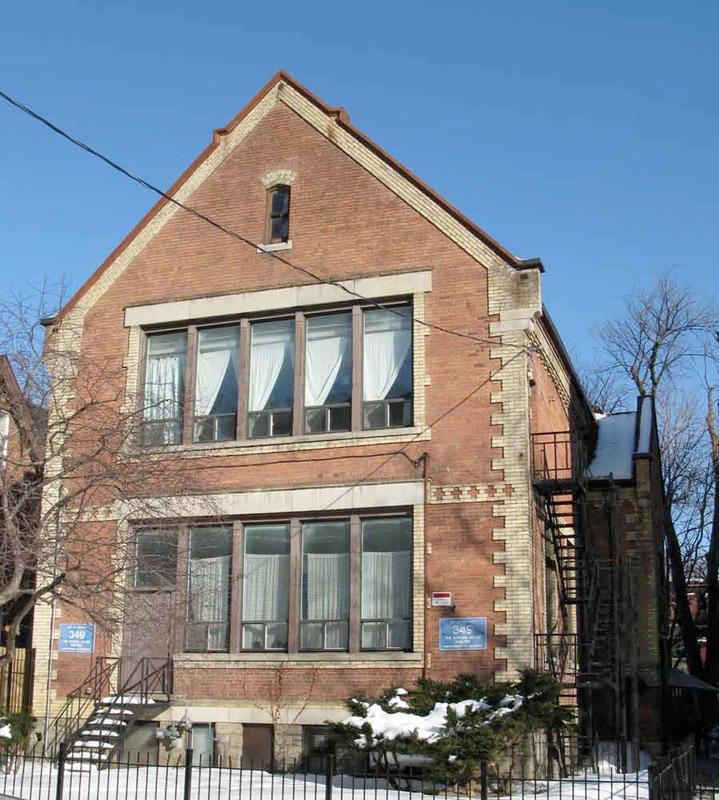 Seaton House is the largest and one of the oldest shelters serving homeless men in Toronto. 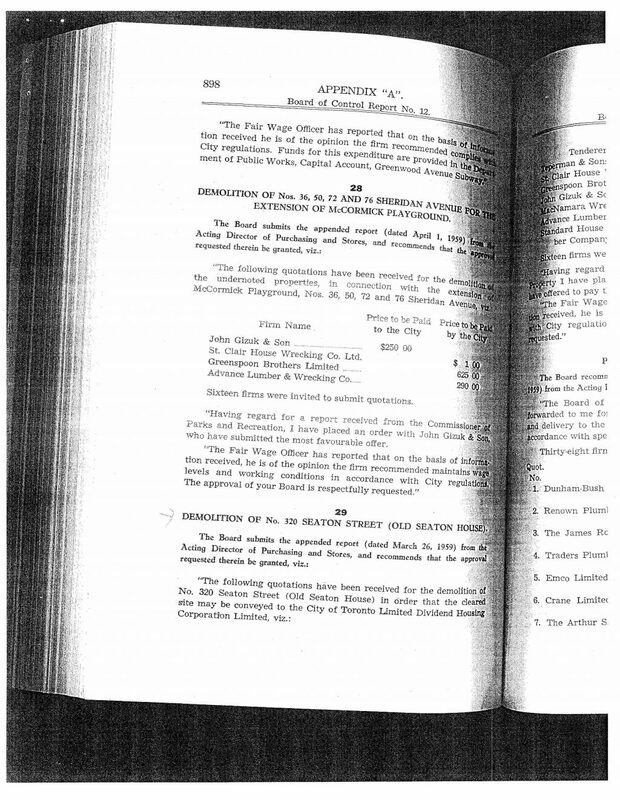 Below are some photos and documents relating to the original Seaton House and its relocation to 339 George Street. Seaton House dates back to 1931 when it was opened by the newly formed City of Toronto Department of Public Welfare to serve a growing number of “unemployable” men during the Great Depression. 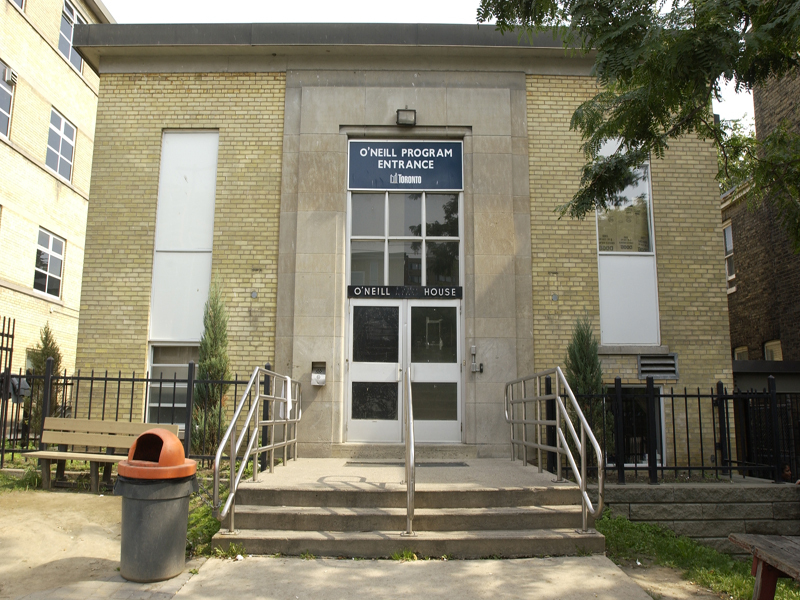 The City was unsure how long the shelter, located at 320 Seaton Street, would be in operation. H.G. Hammond, a war veteran who was best known for his work with the Boy Scouts, was chosen to oversee its operation. Showing the governor-general around a few months after opening, he proudly pointed out their barbershop, shoe repair and the clean shirts that were issued every Friday and neatly laid out on the men’s beds. In those early years, local women’s organizations pitched in to serve meals, knit socks, round up donations of books, magazines and tobacco, and generally tried to keep up the spirits of the men. The building was torn down in 1958. On January 7, 1959, a new Seaton House opened at 339 George Street by the Metro Community Services Department to serve both “employable and destitute single homeless men”. The facility offered two separate programs in its large three storey building – a residence for “unemployable” or older men and a hostel for men considered employable. 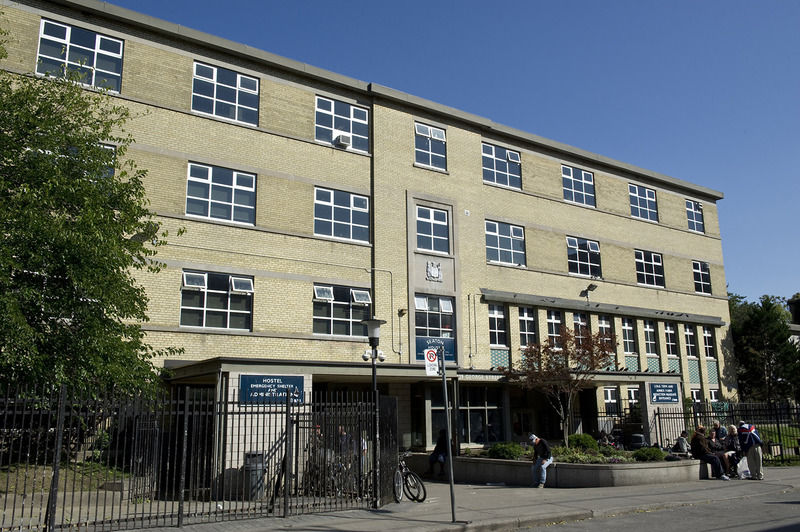 Today, Seaton House has 581 beds at its George Street location and serves thousands of individuals each year in various programs including a harm reduction program and refers men to related programs at Fort York Residence, Birchmount Resident and Downsview Dells. 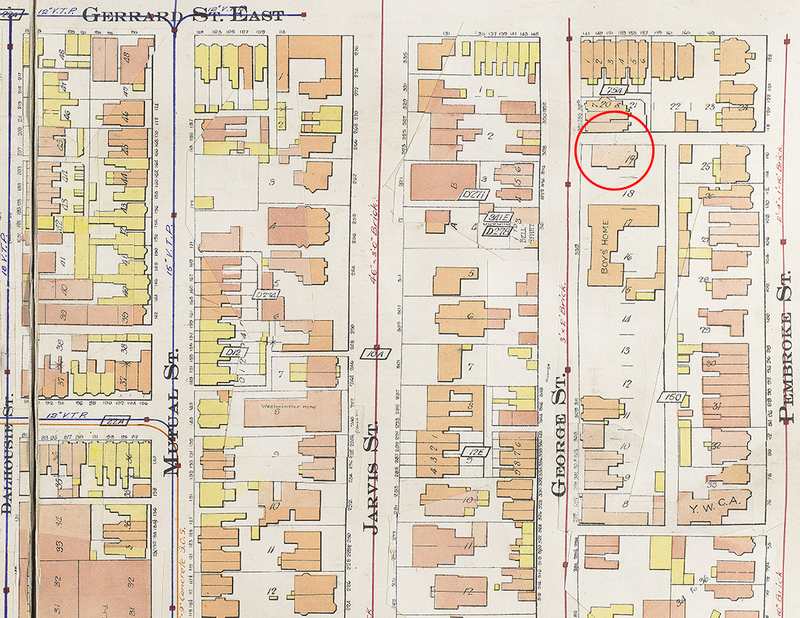 Goad’s Atlas, 1910, showing Seaton Street and the location of Seaton House. Image credit: City of Toronto Archives. 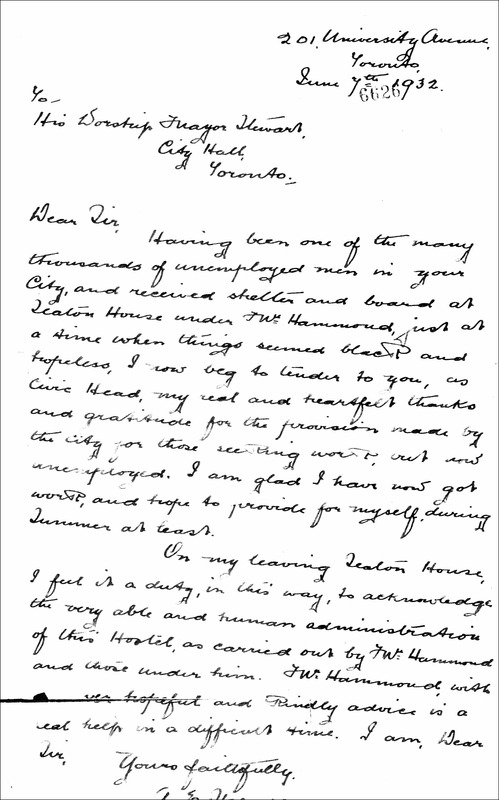 A letter of thanks to Mayor William James Stewart from a former Seaton House resident dated June 7, 1932. 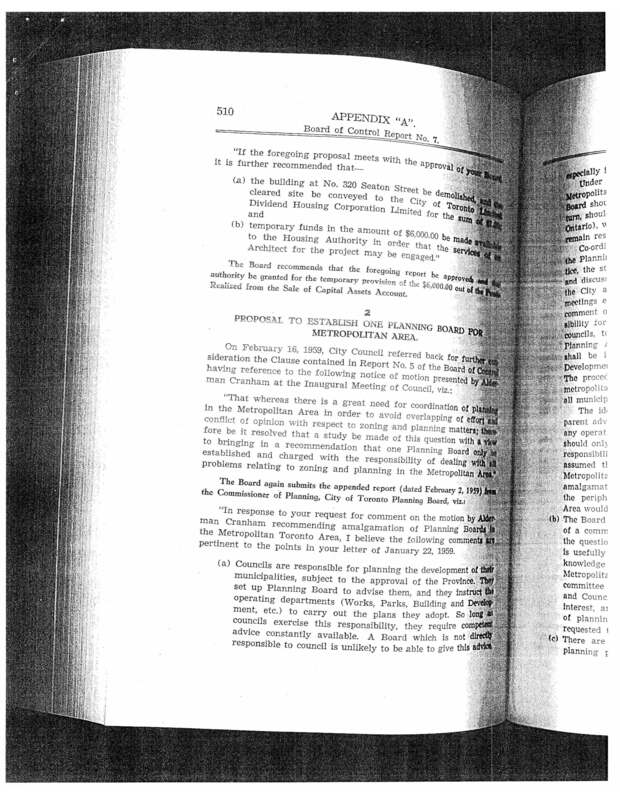 View transcription. 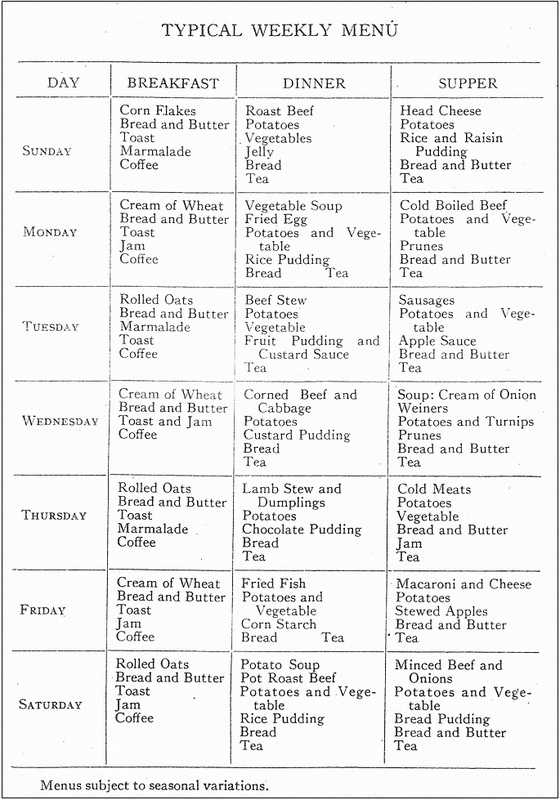 A typical weekly menu at Seaton House as described in the Department of Public Welfare Annual Report, 1942. 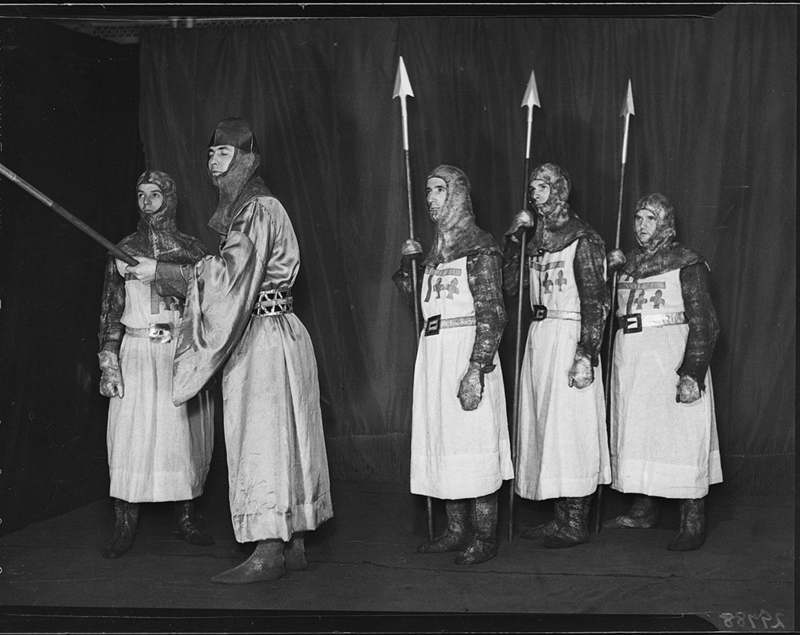 Seaton House Play, “Healing of the Blink Knight”, May 4, 1933. 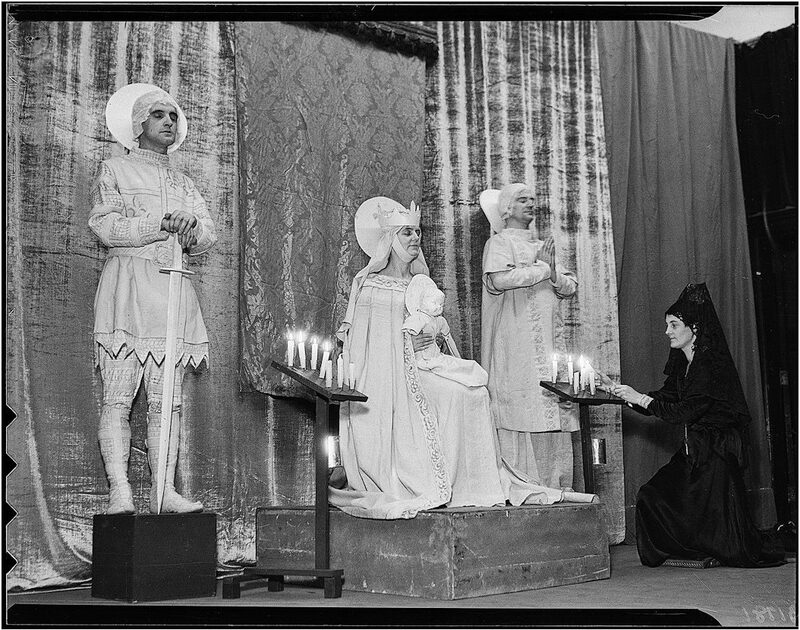 Image credit: City of Toronto Archives. Pages from the Board of Control Report No. 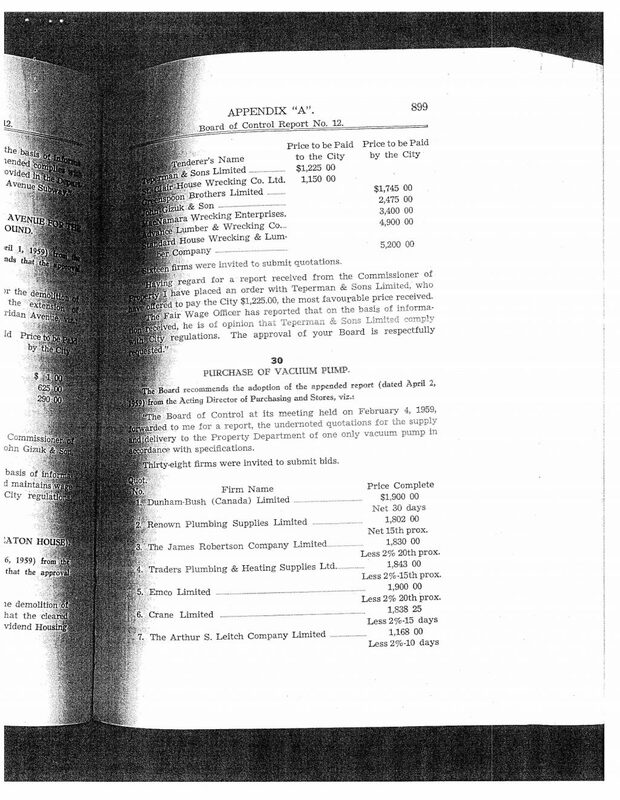 7, Appendix A, 1959: “Proposed Housing Project – 320 Seaton Street” and “Demolition of No. 320 Seaton Street (Old Seaton House)”. 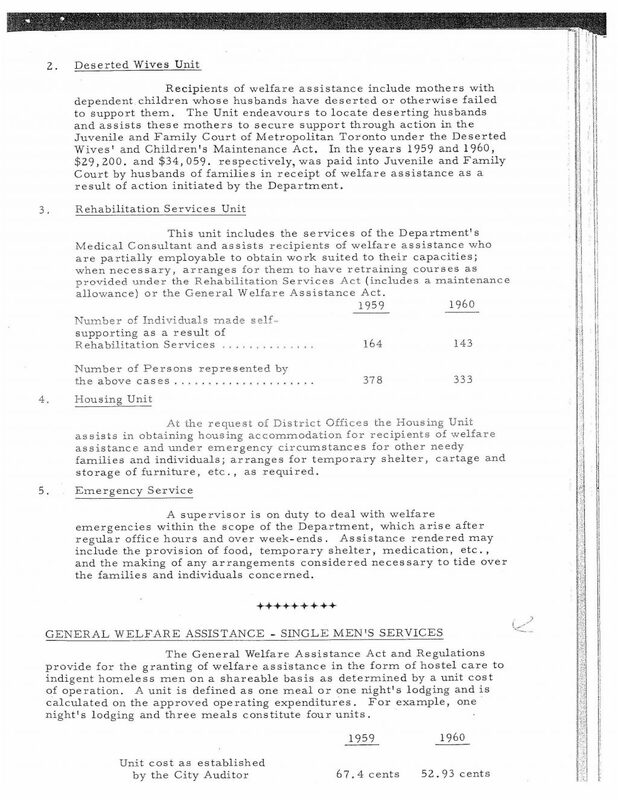 City of Toronto Department of Public Welfare, Biennial Report, 1959-1960. 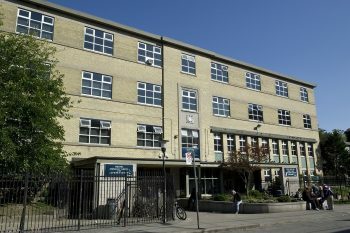 O’Neill House, part of Seaton House located at 339 George Street, runs housing first programs to help homeless men find permanent housing. 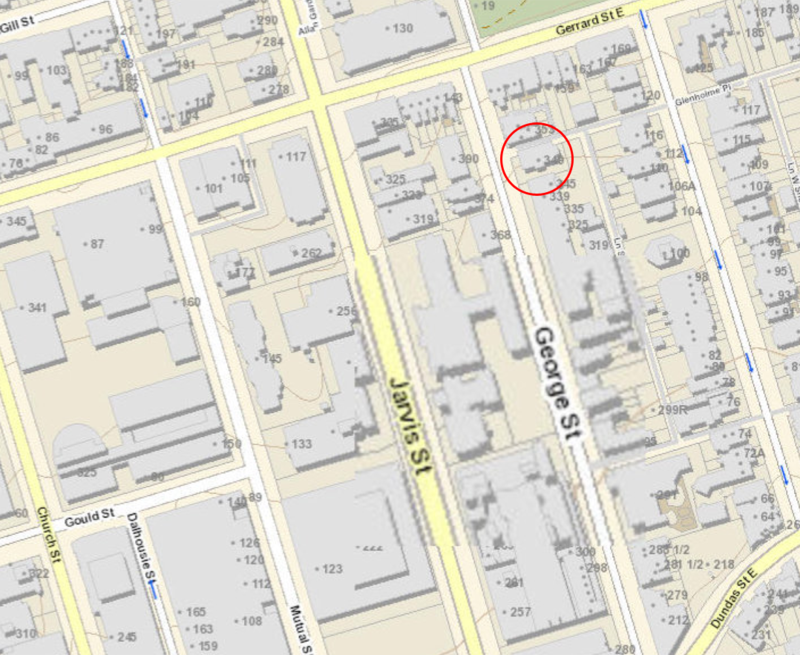 City map, 2014, showing George Street and the location of the Schoolhouse and Seaton House. 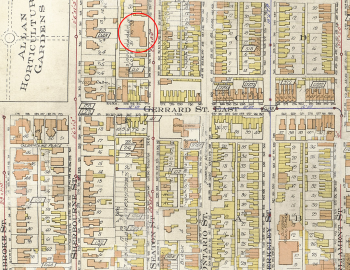 During the late 1800s the City of Toronto purchased several building lots on George Street for the purpose of establishing a Boys’ Home. Constructed in the 1860s, the Boys’ Home was introduced in the 1870s to a primarily residential neighbourhood. This was the beginning of a historical trend that later saw many social institutions in the area. 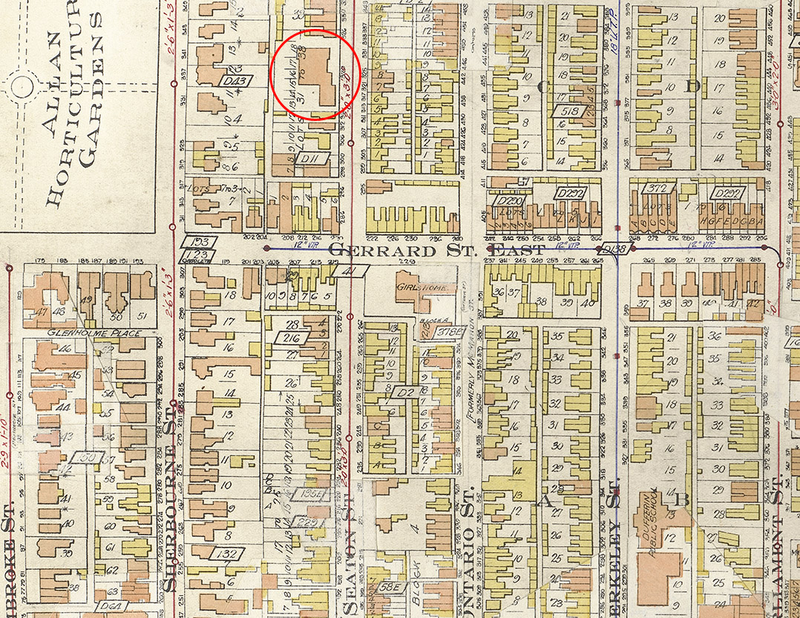 The need to provide for the city’s homeless boys, “rescuing them from a life of misery and probably crime,” was so great that within a decade, the Boys’ Home was expanded, occupying Lots 15 through 18. By the turn of the 20th century, an increase in residents at the Boys’ Home, coupled with educational reform, necessitated the development of a separate schoolhouse building north of the Boys’ Home (on Lot 19) in 1909. 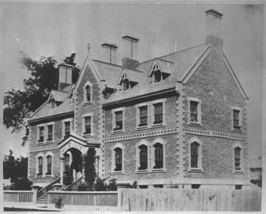 Boys’ Home, east side of George Street 1868 (before flanked additions). Image credit: Toronto Public Library. 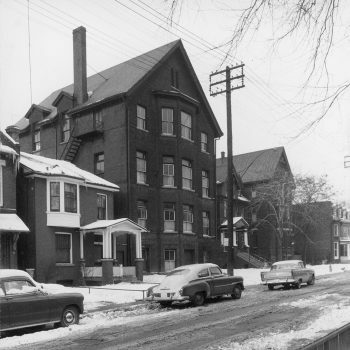 Boys’ Home, east side of George Street 1954 (before demolition). Image credit: Toronto Public Library. 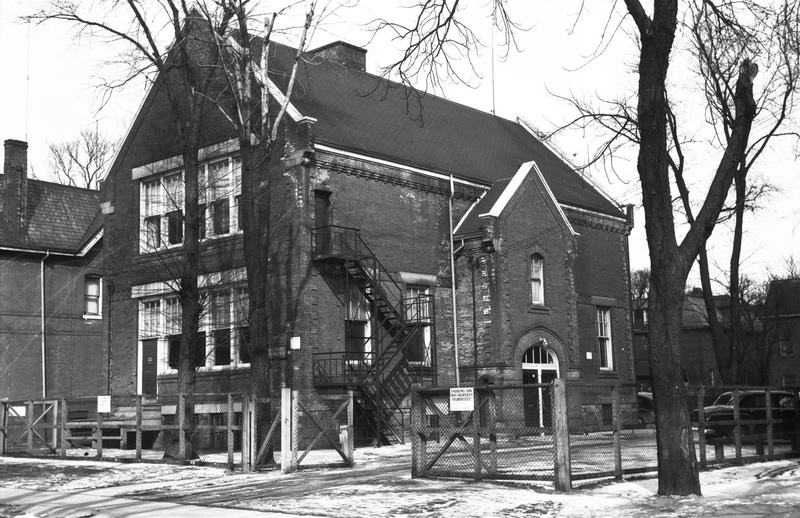 Schoolhouse, east side of George Street 1955, still remains today. Image credit: Toronto Public Library. 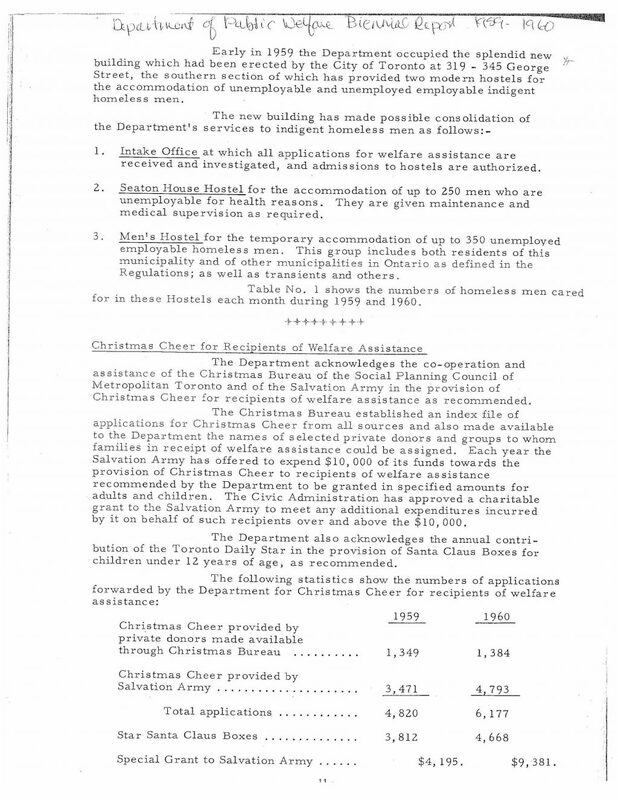 By the 1950s, the shelter on Seaton Street was in poor condition and far too small for the needs of Toronto. Meanwhile lands on George Street that were occupied by the former 1870s and 1880s Boys’ Home were made available for sale – the Boys’ Home having been used as a military barracks in the 1940s and used as apartment units in the 1950s. 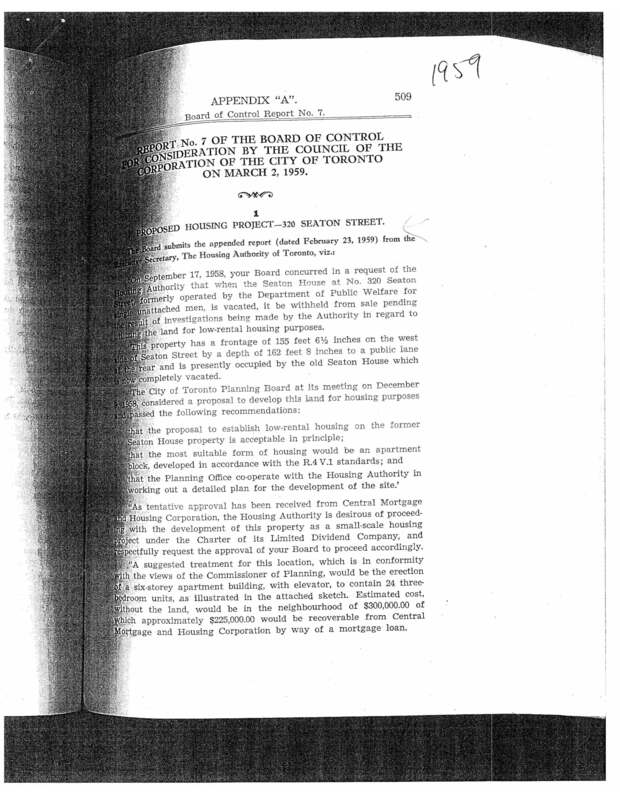 In 1955, the City of Toronto determined that the site (“an attractive parcel of land measuring 138 feet by 352 feet frontage on George Street”) was suitable for the erection of a building that would replace the Seaton House Hostel along with the O’Neill Baths and Central District Welfare Centre. On January 7, 1959, a new three-storey Seaton House opened at 339 George Street by the Metro Community Services Department. Designed by the Department of Buildings, the three-storey building served as a shelter for indigent, unattached, homeless men and also housed the O’Neill Baths at 315 George Street. While the Old Seaton House on Seaton Street was demolished, the name “Seaton House” was maintained at the new location. Back to: George Street Revitalization.